Music Director Guido Lamell is a longtime Santa Monica resident and violinist with the Los Angeles Philharmonic Orchestra. He received his Master’s degree in violin performance and conducting from the University of Michigan and began his career with posts as Associate Concertmaster of the Louisville Orchestra and Concertmaster of the Mexico City Philharmonic. Maestro Lamell joined the LA Phil under the baton of Carlo Maria Giulini in 1979. Lamell made his local conducting debut in 1988 with the Topanga Philharmonic Orchestra and became music director in 1990. He has furthered his conducting studies with Charles Bruch at the Pierre Monteux Conducting School, Leonard Bernstein at the Los Angeles Philharmonic Institute and most recently with Jorge Mester in his master class in Pasadena. Mr. Lamell has conducted the Los Angeles Philharmonic’s In-School Youth Concerts, the Los Angeles County High School for the Arts Orchestra, the Los Angeles Doctors’ Symphony and the La Sierra College Orchestra. On the LA Phil’s 2012 tour to Venezuela, he coached two of the youth orchestras of El Sistema and gave a conducting master class (in Spanish). He continues to provide coaching and conducting support to local schools and youth orchestras through the LA Phil’s School Partnership Program. In 2000, Mr. Lamell traveled to Kiev to conduct recordings with the National Symphony of Ukraine. The extensive recordings include six concertos with celebrated American violinist, Eugene Fodor, flute concertos with American Flautist Judith von Hopf, and Tchaikovsky’s Symphonies number 5 and 6. In June 2011, Mr. Lamell produced and conducted Beethoven’s Ninth Symphony at the Walt Disney Concert Hall in a benefit concert aiding the victims of Japan’s 2011 Tohoku earthquake and tsunami. Over 250 of LA’s finest musicians volunteered their time and talents to the effort. Keeping with Mr. Lamell’s passion for promoting Los Angeles’ own fine composers and presenting quality new works, the program featured two movements from the Misa Azteca Oratorio by Los Angeles composer Joseph Julian Gonzalez. The concert received enthusiastic critical praise and was awarded the second place in the coveted 2012 “The American Prize”. 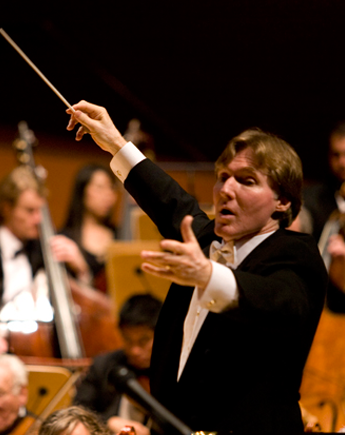 Now in his fifth season with the Santa Monica Symphony, Mr. Lamell has breathed new life into the 74-year-old orchestra. His first two seasons with the Symphony boasted a wide-ranging repertoire from cutting-edge contemporary stars Hoiby, Hailstork and Piazzolla to venerable masters Beethoven and Brahms. Maestro Lamell has been embraced by audiences both old and new and the Symphony under his baton continues to grow, develop and dazzle.